This is a fun event hosted by RMH over the summer. Designed as a casual and fun competition to test the braveness and willingness of your horse…and yourself! We typically have up to 30 obstacles set up around two fields. Riders tackle each object individually and must complete the obstacle in a designated time allowed. After the time limit is complete, you must move on to the next obstacle, whether you have completed it or not. We have a judge at each obstacle, thus allowing us to have multiple horses on course at the same time and keep things rolling along. After all horses have completed the obstacle course, we allow schooling by the participants. 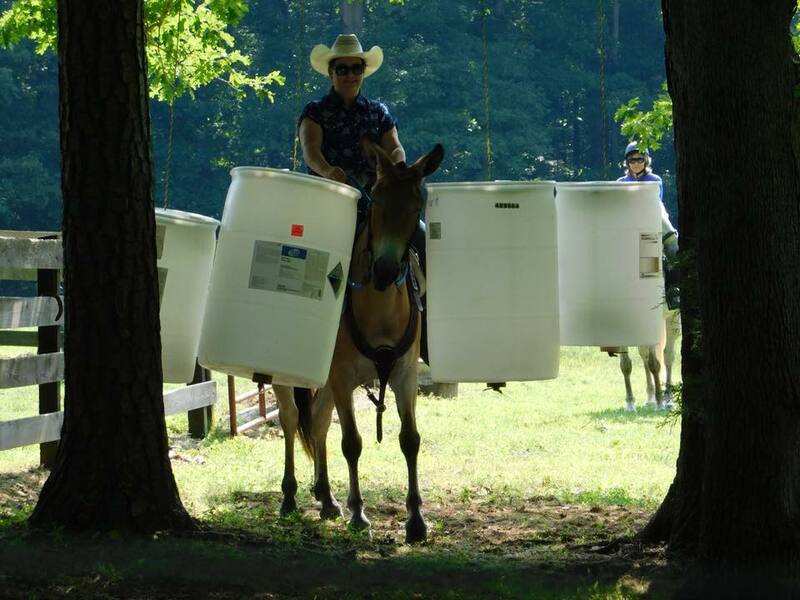 Examples of obstacles include: bridge, tarp, pool noodles, carry the flag, and other items that your horse has to go through, around or over. Mules are welcome! All tack is welcome - english or western - or something in-between!